Surrounded by a serene river, the city of Wisconsin is a must-go tourist destination - an ultimate family vacation spot to relish some really sweet moments with your loved ones, friends or family. The city has so much to offer, and Dells Ramada ensures your time and money are spent the right-royal way! 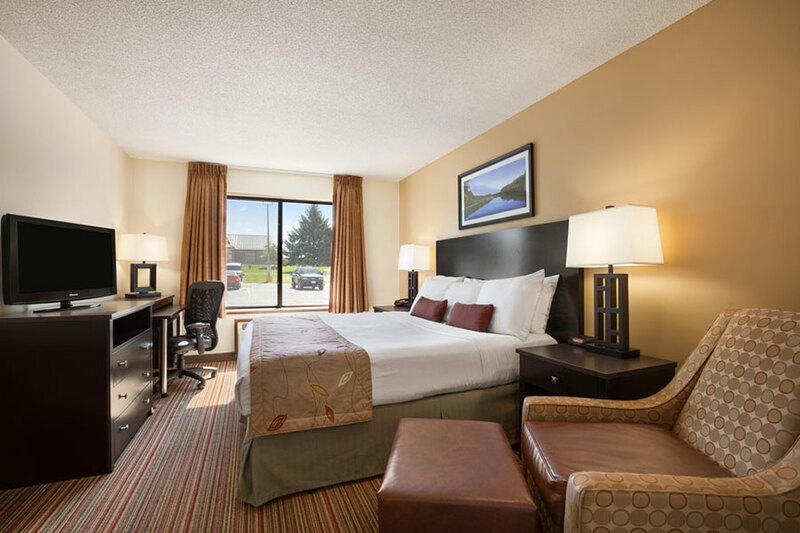 We at Ramada welcome you towards a safe and enjoyable stay at our nice hotels in Wisconsin Dells, renowned for the famous ‘Noah’s water-park’ and some gorgeous theme parks, such as Wilderness territory apart from other things to explore. With Ramada your holidays feel adventurous and your days & nights will be filled with exciting elements to remember for a lifetime. While there are about 100 attractions in the city, you will never fall short of options in Wisconsin. Visit shopping sites, historical and science museum, entertainment spots without worrying about the accommodation. Wisconsin Dells deals in the best hotels for all the clients alike, so if you are planning your next family trip, you know where to go! After exhausting yourself in some cool spots, you can perfectly give some rest to your tired body at the best hotel rooms - King rooms, Executive King rooms, Whirlpool Suites, etc. Grab your hotel deals to find the best Water-park hotels and Suites with - Ramada Wisconsin Dells.